Health and non-health professionals dealing with migrants and refugees in various points across the European Union, during their move and over their stay in the target EU Member States do not always have targeted tools and specific competences. The CARE project aimed to enable health and non-health professionals (i.e. 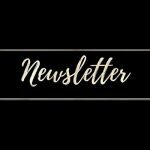 social workers, transcultural mediators, volunteers, law enforcement operators, etc.) to develop new skills, in order to enable them to better address the health and psychosocial needs of migrants and refugees. Thus, the CARE project developed a targeted training programme adaptable to the country context and the needs of health professionals, encompassing the following topics: the migratory phenomenon, legal area, medical and social-medical area (epidemiological picture of migration, health determinants), psychological area (mental health, stress identification) and anthropological area (principles of cultural anthropology). Part of the training of professionals who were involved in the implementation of the healthcare model of the CARE project focused on the use and practical application of the tools developed, in order to increase their effective implementation. Moreover, specialist training focused on: dermatological issues, communicable diseases, hygiene and safety, cultural issues and communication skills, psychological issues, how to work with unaccompanied minors and human trafficking, among other thematic areas. 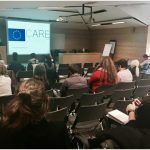 Overall, the training provided by the CARE project enabled frontline health and non-health professionals to develop key competences, in order to provide more appropriate health and social care to migrants and refugees. An expert group was created to discuss the training needs in targeted health and non-health groups according to their pre-existing knowledge, beliefs and attitudes. In line with the experience of MSs, gaps in knowledge and lack of practical skills were identified in the abovementioned sub-groups as the starting point for developing training curricula aiming to build the competences and enhance the capacity of selected target groups. Discussions addressed at least the following themes: communicable diseases, hygiene and safety, cultural issues and communication skills, psychological issues, working with unaccompanied minors, human trafficking. The training material was discussed and developed, strong points and possible weaknesses identified, improvements made, taking into consideration, for the relevant issues, the training programme finalized under WP 4 and training materials already produced in the Equihealth project framework. The training material was tailored to the needs of the final target audience (health and non-health operators) and to their specific environments in MSs (staff working at the first arrival, supporting migrants during the travel or at the final destination, however outside the migrants’ Centres). In the participating countries at least 2-days training programme were conducted. 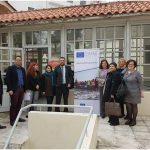 In Greece it were addressed to health professionals, transcultural mediators, law enforcement officers, volunteers, etc., in 3 entry points where such needs have been expressed (Lesvos, Chios and Kos) plus in Athens. 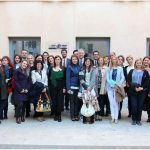 In Malta, a 4 half-day training programme, which included foreign and Maltese trainers was delivered to health professionals, social workers, immigration police, teachers, and other personnel working with migrants. Two of these training sessions were delivered to non-medical personnel (including a repeat session) whilst the other 2 were delivered to health professionals (including a repeat session). Foreign trainers such as WHO, ECDC from within the project and other trainers such as psychologists participated in this training. In Croatia target groups were identified and training sessions were organized accordingly. In Slovenia the training was made available to Civil protection organizations, NGOs coordinating volunteers (e.g. Red Cross, Karitas etc. ), law enforcement officers, health professionals, etc. 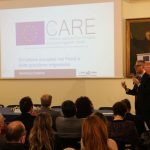 In Italy, two-days of training were provided in Sicily to health and non-health professionals of local health services, NGOs and Police officers, who are concerned with health migration issues.